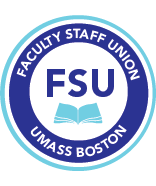 Two hundred staff and faculty met on March 5, 2015 and then marched to the Chancellor’s office to demand that the raises from their negotiated contracts be funded and that the university settle outstanding issues with the Professional Staff Union. See the Boston Globe coverage here. For moreinformation on the unfunded raises and why they can and should be paid click here. Stay tuned for more information from the FSU on what you can to help.